Rapyd, a global FinTech-as-a-Service provider, announced a partnership with OCBC Bank to enable real-time bank payments for Singapore consumers and online retailers.The partnership leverages PayNow, Singapore’s national peer-to-peer funds transfer service, enabling OCBC Bank customers to make digital payments using the OCBC Pay Anyone app powered by Rapyd’s recently launched Checkout payments solution for e-commerce. Today, most online retailers only give consumers the option to check out their online retail purchases using credit or debit cards. 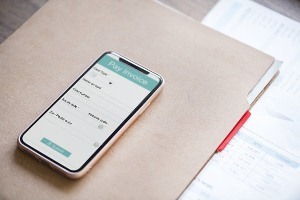 There are very few online retailers that enable customers to directly leverage the funds in their deposit accounts to make online payments – and if they do, the process is very complex, requiring the customer to exit the retailer’s app to perform an Internet Banking transaction before navigating back to the app. The partnership with Rapyd Checkout will provide OCBC Bank customers with more payment options at online retailers’ checkouts, enabling them to directly access their bank account funds by simply choosing “Pay with OCBC Pay Anyone” within a retailer’s app. Payment details such as the retailer name and amount to be paid will then automatically populate in OCBC Pay Anyone, which the customer simply needs to review and confirm before authenticating the transaction biometrically. Customers will not need to input any additional information to make an online payment, and do not need to navigate out of the retailer’s app, making the payment process completely seamless and convenient. With the number of real-time payments globally expected to grow from USD$6.8 billion (€6 billion) in 2018 to USD$25.9 billion (€22.9 billion) in 2023 according to research consultancy MarketandMarkets, digital retailers are actively looking to add more local payment options for customers.